Garden hoe, Real Tools For Kids series, Tool head and handle are kid sized for comfort and ease of use, Lacquered hardwood handle won-foott splinter, Sturdy steel head is kid tough, 4-1/2-inch x 3-inch head size, 42-inch handle. 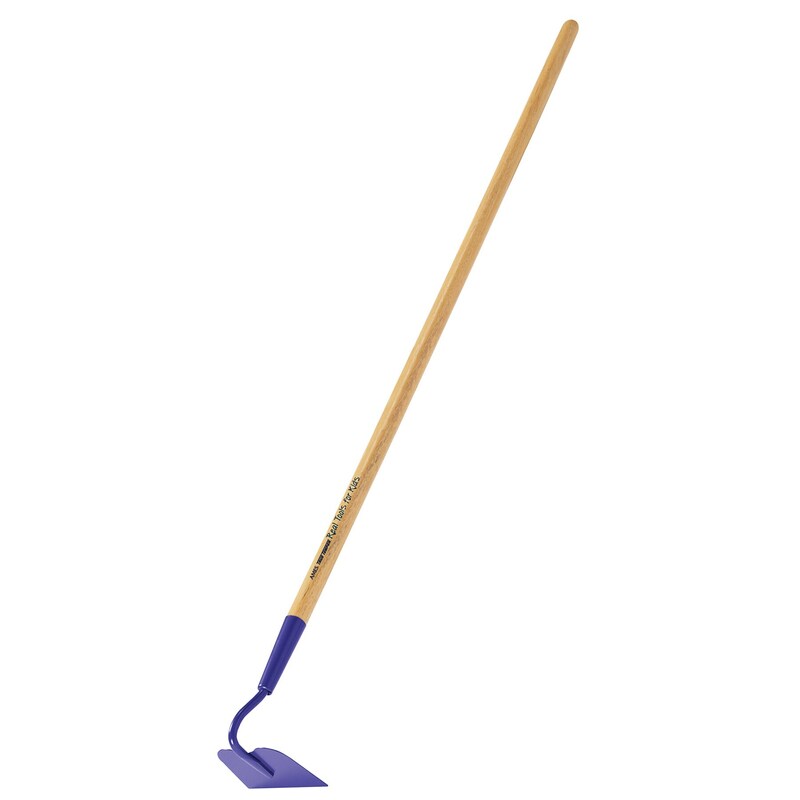 Product Description: Garden hoe, Real Tools For Kids series, Tool head and handle are kid sized for comfort and ease of use, Lacquered hardwood handle won-foott splinter, Sturdy steel head is kid tough, 4-1/2-inch x 3-inch head size, 42-inch handle. *All retailers not collecting sales tax from purchasers in Colorado, Kentucky, Louisiana, Oklahoma, Rhode Island, South Dakota, Vermont, and Washington are required to give the following notice: Although we, as the seller, are not obligated to collect sales tax in your state, this purchase is subject to sales tax unless it is specifically exempt from taxation. This purchase in not exempt merely because it is made over the internet or by other remote means. Your state requires that you file a tax return at the end of the year reporting all of your purchases that were not taxed and pay tax on those purchases. Retailers that do not collect Colorado, Louisiana, Oklahoma, Rhode Island, Vermont, or Washington sales tax, including ourselves, will provide you an end-of-year summary of your purchases to assist you in filing that report. You may contact your state’s Department of Revenue for details on how to file this return. For purchasers in Colorado, Louisiana, Vermont, and Washington please note that we are required by law to provide your state with a report of the total amount of all your purchases from us at the end of the year.